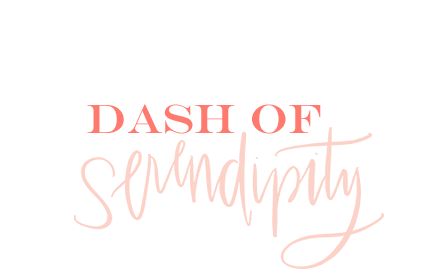 Tomorrow marks the first day of December and the start of a new series I have been working on for the month of December: 24 Days of Dash of Serendipity! Starting tomorrow through Christmas Eve, I will be posting every single day! Every. Single. Day! Including weekends! I usually try to have posts during every week day, but this month you can expect one every single day up until Christmas. I am so excited for this fun challenge throughout the holiday season. 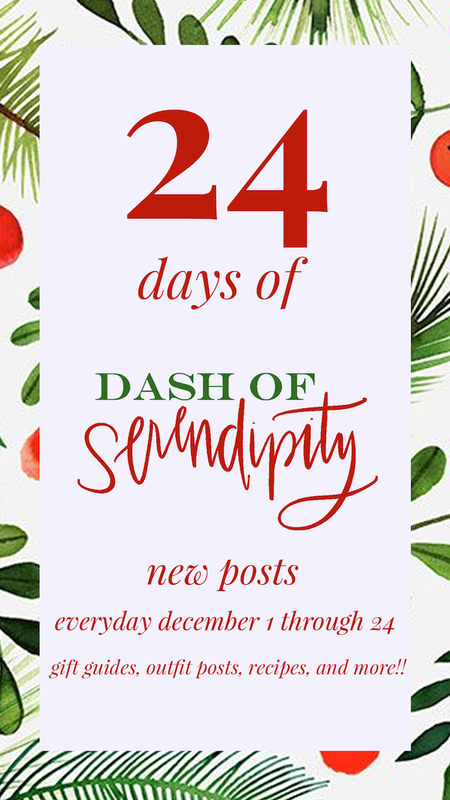 Think of the blog for the next 24 days sort of like an advent calendar. Each day I'll have a new post up at 8AM EST for you to enjoy that will be themed around the holidays. You can expect plenty of gift guides, holiday outfits, delicious recipes and so much more. If there is anything you specifically want to see in the next month please reach out and let me know. I haven't quite scheduled every post yet and would love to hear your requests. 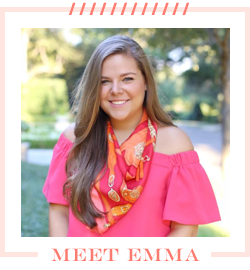 This is my favorite time of the year and I am so excited to spend it with y'all! Get excited for tomorrow!